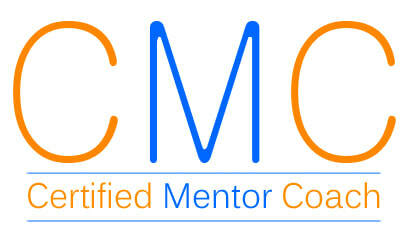 My call to coaching was ignited and has been nurtured through Professional Coach training by Auburn Theological Seminary and Coach Approach Ministries, the Coaching Skills program in the Presbytery of Geneva led by an ICF (International Coach Foundation) Professional Certified Coach, and participation in the Auburn Seminary Coaching Institute. It is exciting and fulfilling to be part of a journey in which an individual or team finds clarity, focus, direction, and accomplishment. In my coaching practice I especially enjoy working with Developing Coaches, Pastors, Lay Pastors, Seminarians, Church Leaders and persons in specialized forms of ministry as well as leaders who work for not-for-profit organizations and in other settings. A pediatric intensive care nurse in my first career, for 20 of the 30 years that I have been in professional ministry I have enjoyed serving as an intensive care pastor (an Interim / Transitional pastor). I have served churches that ranged from very small to very large in size; been a solo church staff member and supervised a large church staff; served churches happily engaged in ministry in their communities, those beset by internal conflict, those wounded by relationships with former pastors, those successfully navigating church growth and revitalization, and those feeling a bit lost and/or stuck between what has been but is no more and seeking to be open to the opportunities that Holy Spirit might be opening in their midst. I have served churches in the Presbytery of Geneva and the Presbytery of Genesee Valley as well as churches across Western, NY affiliated with the United Church of Christ and the Reformed Church in America. My coaching clients (developing coaches, individual ministry leaders and teams) have been based in tiny communities, larger towns and cities from Buffalo to Boston, the Finger Lakes to New Jersey and rural Virginia to New York City and the mountains and cities of Kentucky and Tennessee. I have had specialized training and experience in organizational diagnosis, conflict management, mediation and church transformation and continue to feed my soul and enhance my abilities as a spiritual leader through courses in the Spirituality programs at Columbia and Pittsburgh Theological Seminaries.